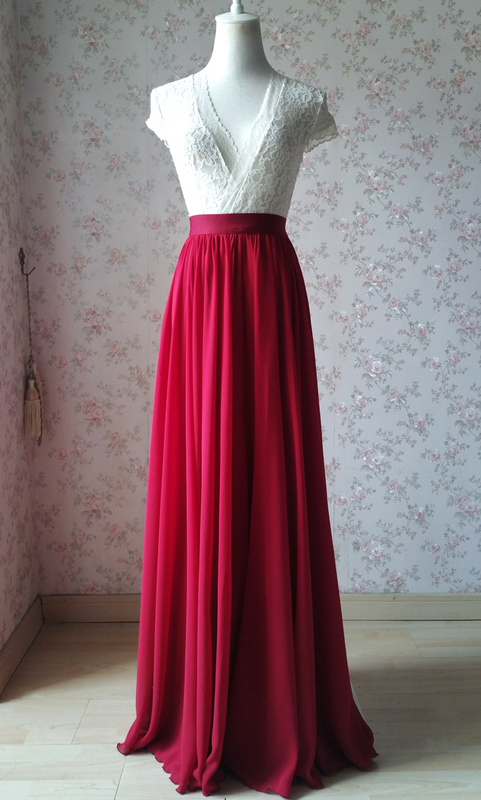 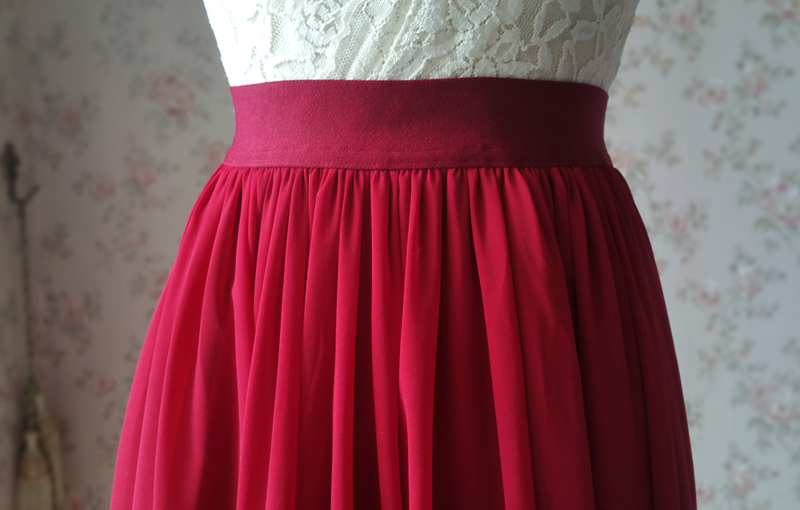 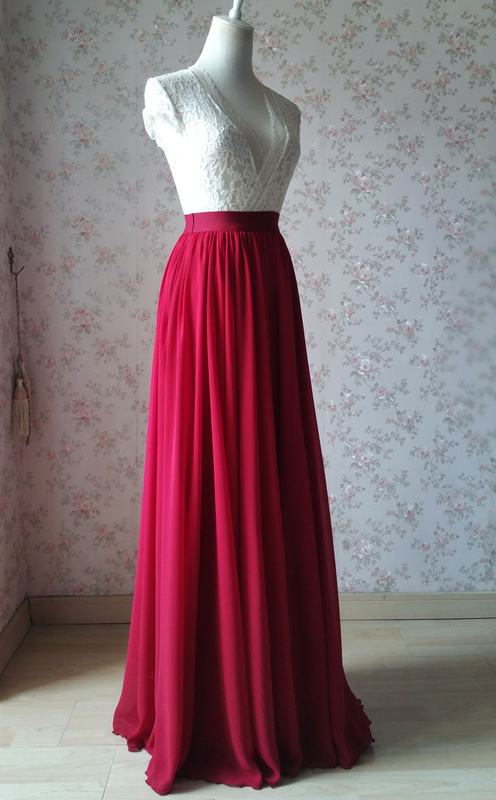 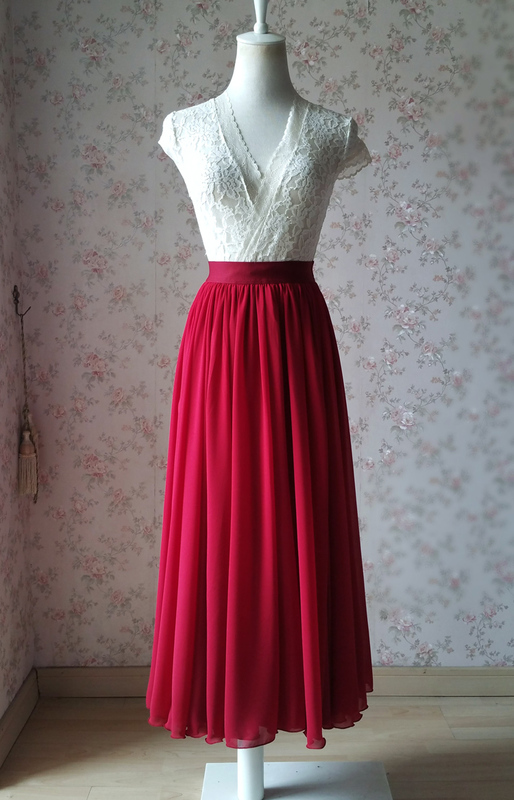 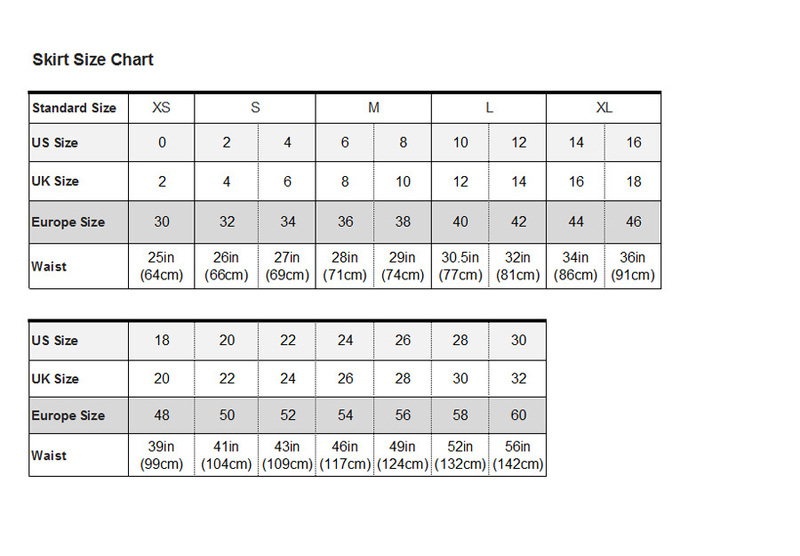 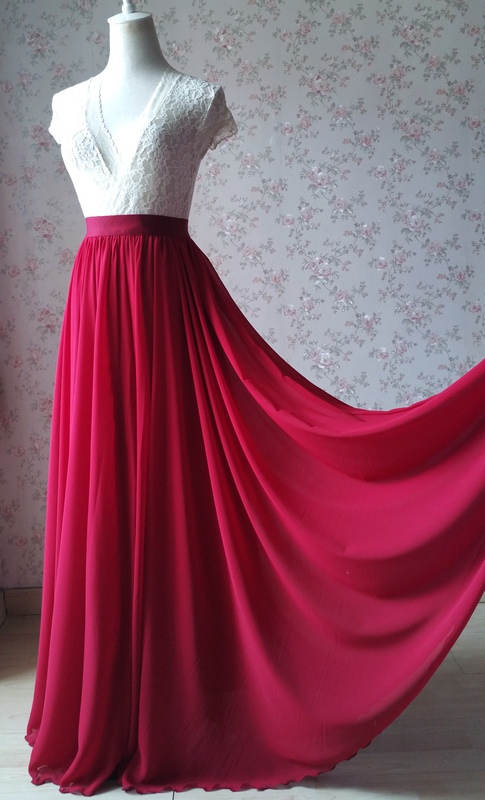 LONG CHIFFON SKIRT, Dark Red Wine Red Chiffon Skirt, High Waist Dark Red Full Long Chiffon Skirt Wedding Separates, Bridesmaid Skirts, Wedding Guest Skirt, Chiffon Bridesmaid Skirt, Plus Size. 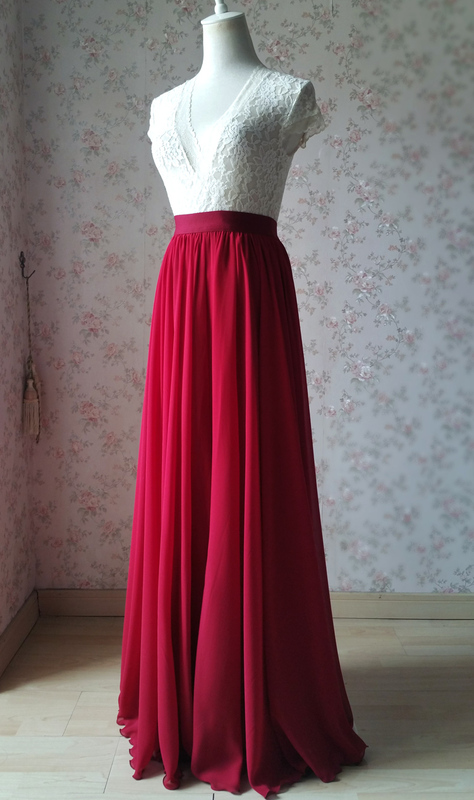 This dark red is very beautiful and romantic, which is one of most popular colors for wedding outfits . 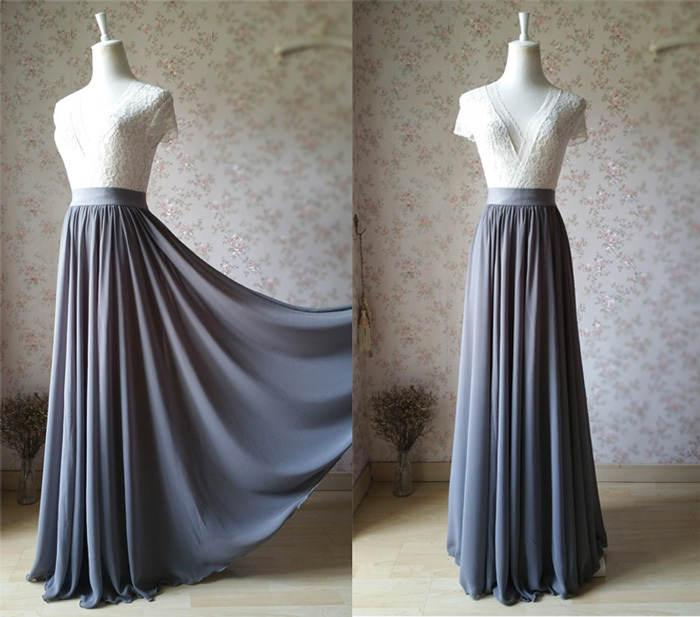 Don't miss this unique chiffon skirt.